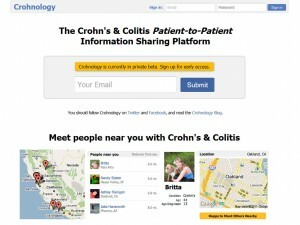 Crohnology is the creation of Sean Ahrens, a twelve-year veteran of Crohn’s Disease & a software developer who works in the San Francisco Bay Area in California. The look of the site is pretty well polished with features that allow you communicate with & find others who have Inflammatory Bowel Diseases. Of particular note is the ability to list treatments you’ve tried & then rate how well those treatments worked for you. The site is currently in private beta mode, but you can request an invitation by going to the website & entering your e-mail address. 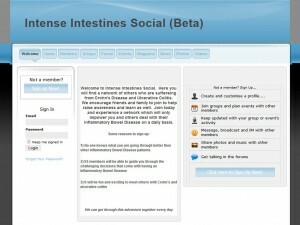 IntenseIntestines was initially a blog site but has recently switched over to a social networking platform. It appears to be more of a community oriented site allowing users to create a custom profile, join groups, post on forums as well as upload pictures & videos. While it may lack the polished look & perhaps more advanced features of Crohnology, it still looks as though it could be a valuable resource down the road as more members join. As more patients turn from just being “patients” and instead into “patient advocates” tools such as these social network sites will become a valuable resource for patients to help themselves without having to rely so much on the medical community which often times has a cold & distant bed manner. Often patients are in the dark all too often when it comes down to what to expect from certain treatments & all too often the medical community gives them vague or even inaccurate information. Additionally by connecting patients with other patients, new & alternative methods of treatments may spread more quickly thanks to sites such as these. Thanks for the mention, Gabriel! I really appreciate the love.